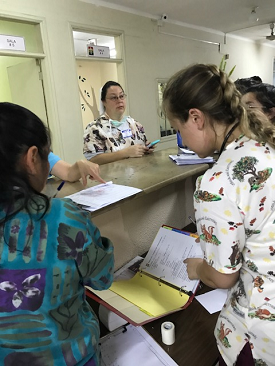 Surgery team #31 arrived in Santa Cruz, Bolivia the weekend of September 7th, in spite of cancelled flights and stormy weather! 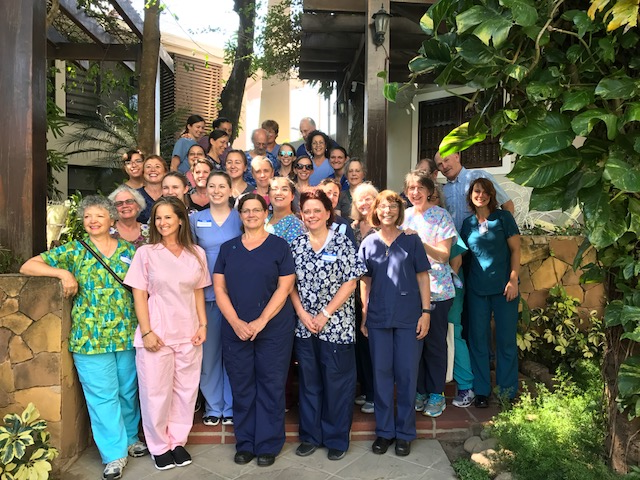 The team of 33 doctors, nurses, translators, and non-medical helpers came from all over the United States to volunteer a week of their time serving the patients of Mission of Hope. The patients who benefitted from their care were so very thankful! 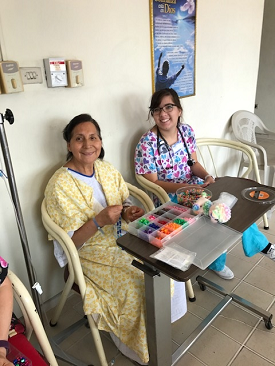 Nurse Sarah enjoys a break to work on crafts with Elena following Elena’s GYN surgery. 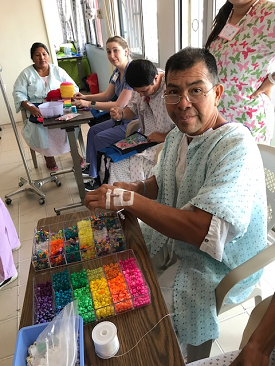 Victor makes a gift for his wife after his gallstone surgery. He is so happy to be pain free! 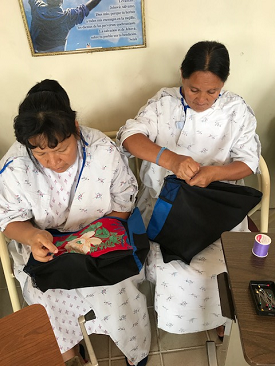 Dina (left) and Lidia (right) fashion lovely handbags to take home following GYN surgeries. 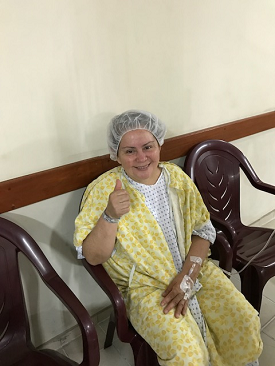 Isabel is so happy that it is her turn next to go into surgery! Goodbye gallstones! 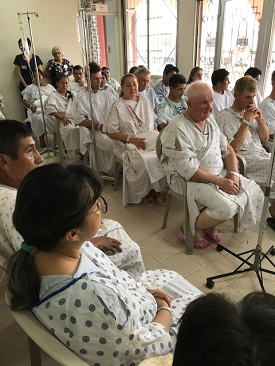 Patients are encouraged as they are taught from the Bible during the morning devotion. 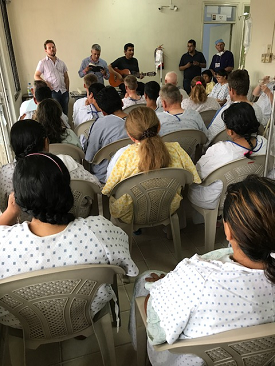 Patients enjoy a time of singing together. 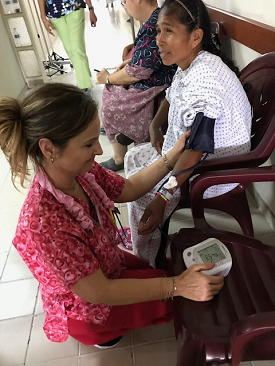 Nurse Felisha checking Donata’s blood pressure following hernia surgery. 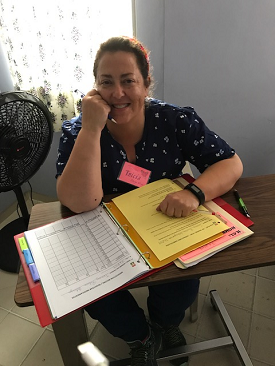 Charge nurse, Tricia, checking the patient charts. 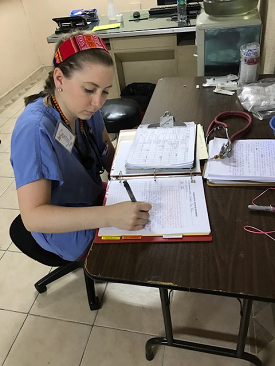 Nurse Courtney writing notes on her patients. 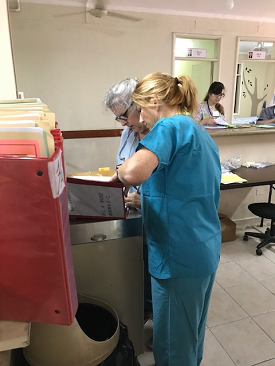 Nurses Tori (front) and Nancy (back) checking patient orders. 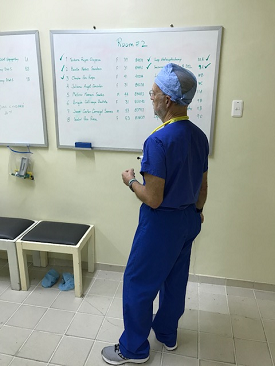 Dr. Carl checks the operating room schedules. 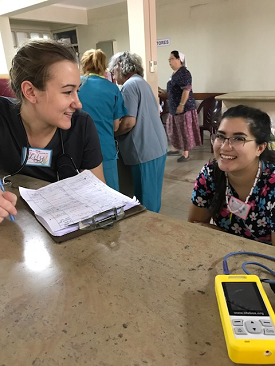 Nurses Lily (left) and Kailey (right) share a happy moment together. Lily (right) reports on her patients to the night nurse, Rosemery (left) at the end of the day shift. 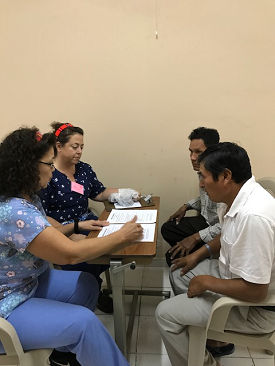 Sonia (left) gives discharge instructions to Valerio and Andres with charge nurse, Tricia, at her side. 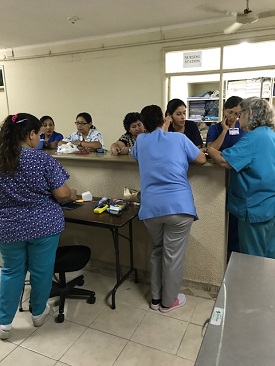 Nancy (right) reports on her patients as the Bolivian clinic nurses take over patient care for the night so the US nurses can sleep.